Harvestmen are arachnids that resembles spiders in many ways but are not spiders. Although these creatures have eight legs, harvestmen differ from spiders in that they generally have a pair of eyes (instead of four pairs), the lack of segmentation into cephalothorax and abdomen, and the fact that they do not spin webs. Harvestmen occur in a wide range of forms and sizes, but are generally all herbivores and scavengers. #1. Likely a Tithaeus harvestman. Harvestmen are usually confused with spiders due to the many similarities. 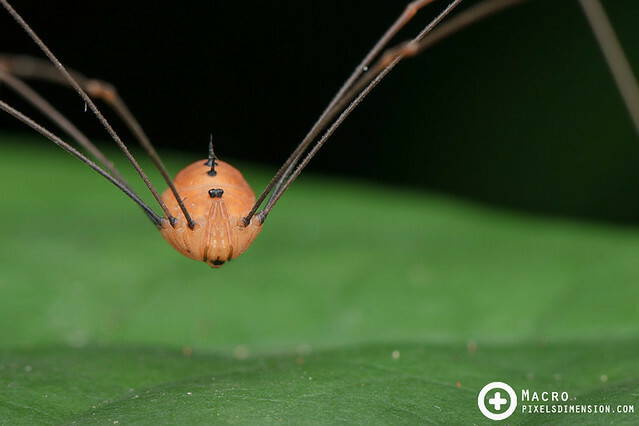 One of the easily recognized features of harvestmen is the unsegmented body, as seen in this photo: the body is not divided into two parts (cephalothorax and abdomen) like spiders. #2. An orange Harvestman. Unlike spiders, a harvestman usually only have 2 eyes on its body. Spines may occasionally be present on the body as well, as seen in this photo. #3. White harvestman. 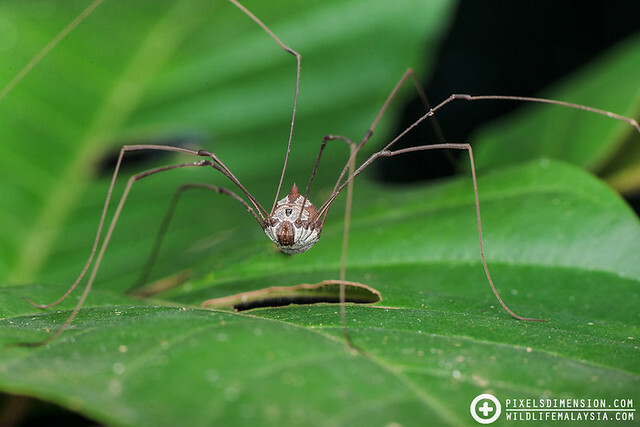 Many harvestmen may look like much larger versions of daddy long-legged spiders we have at home, but they are not considered as spiders due to the lack of a true thorax and abdomen. 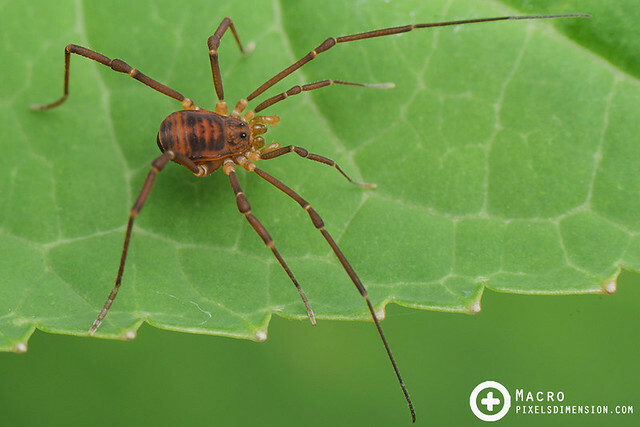 Harvestmen are usually omnivores and can be found in moist, shaded areas of parks or forests.